EXCLUSIVE: Oscar-winner joins sci-fi alongside Robert Pattinson, Mia Goth. 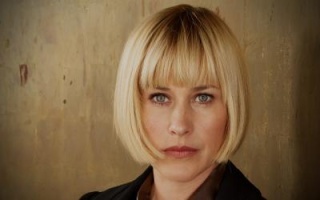 Oscar-winner Patricia Arquette (Boyhood) has joined Robert Pattinson (Twilight) and Mia Goth (The Survivalist) in the cast of Claire Denis’ anticipated untitled sci-fi, written by UK novelist Zadie Smith (White Teeth) and Smith’s writer husband Nick Laird. The project, which ScreenDaily first reported in June, marks an intriguing change of direction for the White Material and Beau Travail writer-director. The story is based on an original idea by Denis and her regular writing partner Jean-Pol Fargeau, and is due to go into production early next year. Alcatraz and Pandora produced Denis’ most recent feature, Bastards, which debuted at the Cannes Film Festival in 2013. Denis regular Wild Bunch is handling international sales while Des Hamilton is casting the project. Medium and True Romance star Arquette most recently starred in Nick Sandow’s feature crime-drama The Wannabe and US TV series CSI: Cyber.